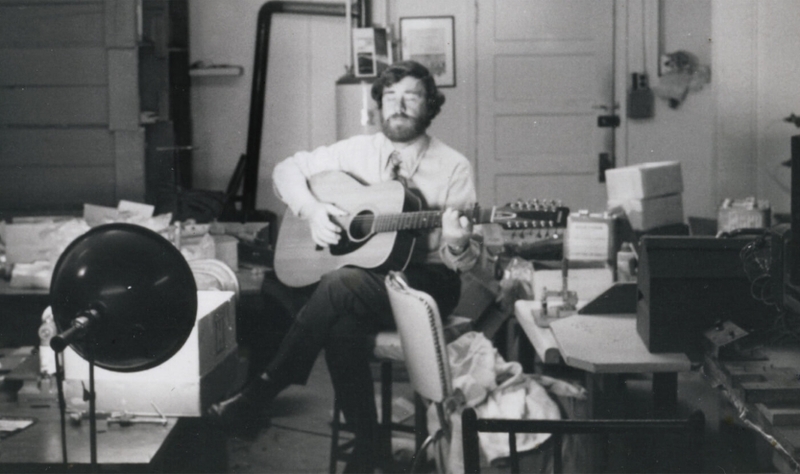 In my experience, the beginner guitarists who stay the course are often those who take a lot of care when buying their first guitar. 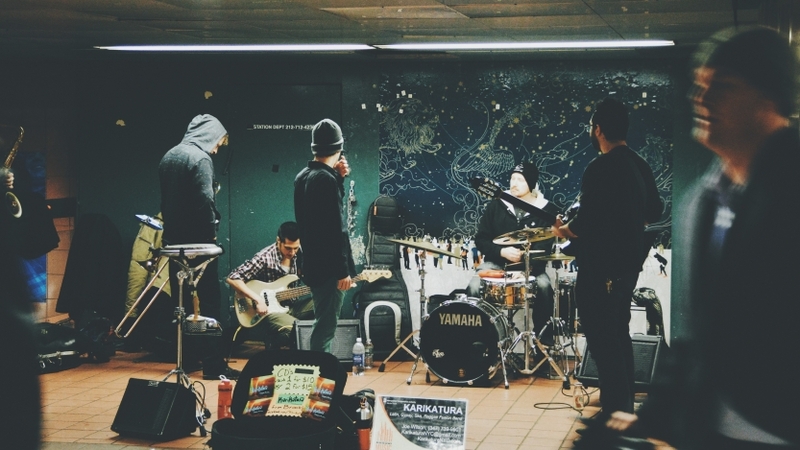 They don’t just pick up a cheap acoustic guitar from the mall or the first used electric guitar they find at a yard sale: they do their research and make sure they find the guitar gear that will help, rather than hinder their playing journey. But even the most diligent would-be guitar heroes have a tendency to overlook a vital piece of guitar playing equipment. They’ll get a great guitar, amp, a quality lead and a reliable tuner (easy-to-use in rehearsal and onstage, Roadie 2 is a great option for beginner and experienced guitarists alike). BUT, when it comes to buying a guitar plectrum, they’ll spring for any old bag of cheap guitar picks on the guitar store counter. Why? Because your playing lives and dies by your plectrum, and having the wrong kind of plectrum for your playing style will put a spanner in the works when it comes to learning the guitar. Fear not! 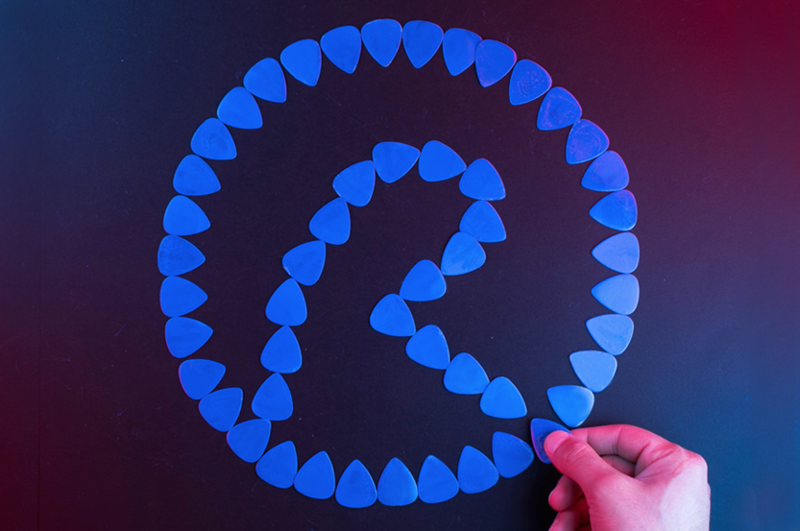 Roadie is here to help you pick the plectrum (in both senses of that phrase) that will aid you on your guitar-playing journey. And in today’s article, we’re talking all about thickness. You’ve probably noticed that plectrums have gauges printed on them in millimeters. Those gauges have a huge impact on the kind of sound you’ll get out of them. Here are the three main types. These plectrums are very bendy and good for acoustic strumming, producing a nice, bright sound. They’re typically the choice of beginner guitarists because they offer little resistance compared to heavier pick, which makes strumming easier. If you’re an acoustic singer-songwriter type, light gauge plectrums are your friends. If you’re an aspiring Jimmy Page or Angus Young, a medium gauge plectrum is the way to go. As obvious as it sounds to say it, a heavier plectrum is key to a heavier sound. Crunchy rhythms, dynamic solos and meaty sounding lead lines are much easier to obtain when you’ve got a .80mm to 1.5mm pick in your hand. Of course, it goes without saying that these picks are not your friend when it comes to mellow strumming, and are more the choice of a budding James Hetfield than a budding James Taylor. At the extreme end of the heavy spectrum are your 1.5mm to 3mm plectrum behemoths. A bit of a niche product as far as plectrums go, they’re traditionally the choice of bebop jazzers for facilitating a mellow and warm tone and a clean tone. But, they also work for extreme metal riffers in the market for scooped mids.